15 of the best short stories from author and playwright J.S. Kierland. "J.S. Kierland is that rare writer, one who can deal with both urban and rural themes in masterful fashion. This gift allows him to write about a wide range of disparate characters and settings with astonishing precision and power. His taut prose style, innate sense of drama and ability to look at life in an unflinching but always compassionate way are everywhere in evidence in this remarkable collection of stories." --Willard Manus editor/publisher of lively-arts.com; author of "Mott The Hoople." 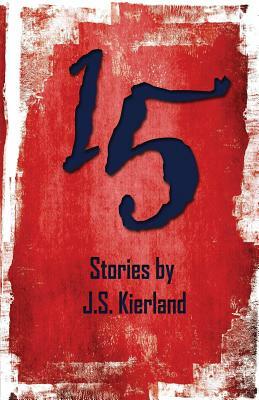 "In 15, Kierland focuses on the human elements of worlds that have more rust than gold. His stories stand strong because they are so real." --Jeff Provine, author. A graduate of the Yale school of Drama, J.S. Kierland was founder and director of the Los Angeles Playwright's Group and was Playwright-in-residence at New York Lincoln's Center, Brandeis University and the Los Angeles Actor's Theater. Kierland's original plays have been produced throughout the U.S. and Europe, and his film work includes writing the screenplay for the feature film, "O'Hara's wife, " starring a young Jodie Foster. He has published a novel, edited two books of one-act plays, written two films, and has had over forty publications of his short stories in literary reviews and magazines around the country. This is his first collection of short stories.